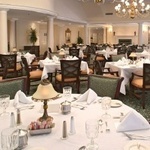 The Forum at Park Lane, located at 7831 Park Lane, Dallas, TX 75225, is a senior living community specializing in Assisted Living, Independent Living, Continuing Care, Respite/Short Term. 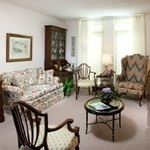 The community is a part of Five Star Senior Living's family of senior care communities. The cost of living in The Forum at Park Lane starts at about $2,770 a month. The Forum at Park Lane in Dallas, Texas, is an elegant full service retirement community with assisted living and independent senior living. We are located on seven beautifully-landscaped acres across from North Park Mall, yet tucked way on a quiet, side street lined with stately oak trees. 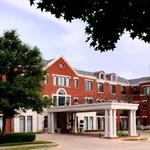 View the complete list of or for all Five Star Senior Living Dallas facilities Dallas assisted living communities. For more info on The Forum at Park Lane, contact the community with the form to the right. The Forum at Park Lane is located at 7831 Park Lane, Dallas, TX 75225.